hd00:14NIAGARA FALLS - JUNE 6th: Tourists at Niagara Falls, Ontario, Canada on June 6th, 2010. 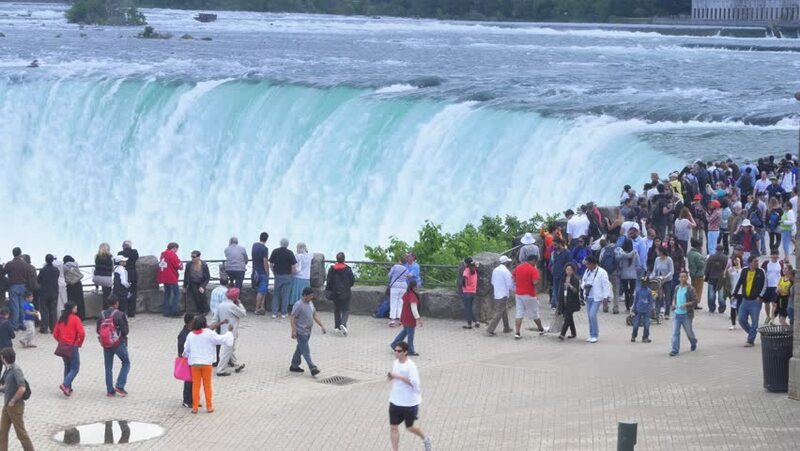 Increased US passport fees has reduced the numbers of US tourists visiting the Canadian side of Niagara Falls. hd00:29CIRCA 2010s - A large group of tourists observe the eruption of Old Faithful geyser in Yellowstone National Park.